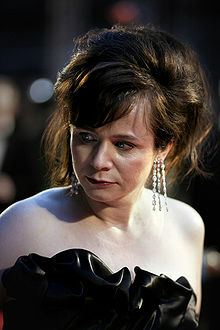 Emily Watson (born 14 January 1967) is an English actress. She was born in Islington, London. She acted in Breaking the Waves, Hilary and Jackie, Cradle will Rock and Angela's Ashes and Oranges and Sunshine. Her television roles include the title character in Appropriate Adult, for which she won a BAFTA Award. This page was last changed on 22 February 2019, at 22:22.